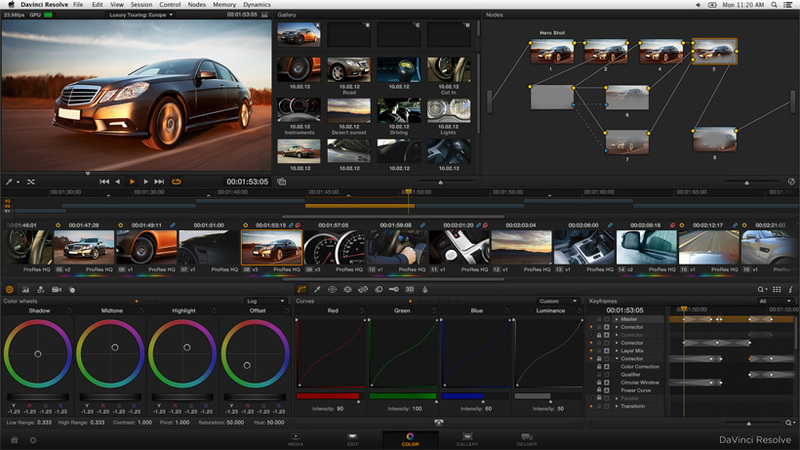 Resolve workflows including Blackmagic Cinema Camera, Film, Red, Cannon and other digital files. The complete guide to Nodes? Autodesk Smoke software is a leader in creative editorial finishing for high-quality commercial and broadcast projects. With an intuitive, timeline-based workflow, Smoke offers an all-in-one editorial finishing toolset for standard and stereoscopic 3D work.Smoke is available as a software-only application for the Apple Mac OS X operating system or as Autodesk Smoke Advanced, a turnkey solution on the Linux operating system. For increased productivity, integrate Smoke into your workflow and share media and timelines with Autodesk Flame 2011 and Autodesk Lustre 2011 software. 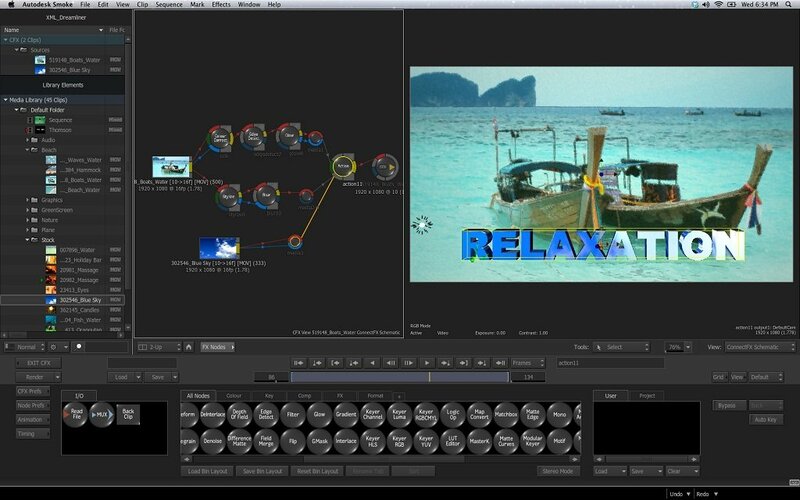 Creative toolset for Non Linear Editing, color correction, paint, cleanup, titling, audio, 3D compositing, and finishing. 3D visual effects tools within Action, a 3D compositing environment that enables you to combine lights, 3D text, geometry, and a 3D camera system. Keying and color correction tools use Autodesk Modular Keyer, Master Keyer, and Colour Warper technologies. Adjacent workflow with EDL, AAF, and XML file support for conforming from Final Cut Pro or Media Composer creative cut applications. Timeline and visual effects tools for finishing standard and stereoscopic 3D projects. Native support for industry standard formats: Panasonic P2 MXF files, Sony XDCam, Avid DNxHD media, Apple® QuickTime® files (ProRes on the Mac operating system), and RED files.